As a watch is handed down from generation to generation, the stories behind its life make it more and more valuable. 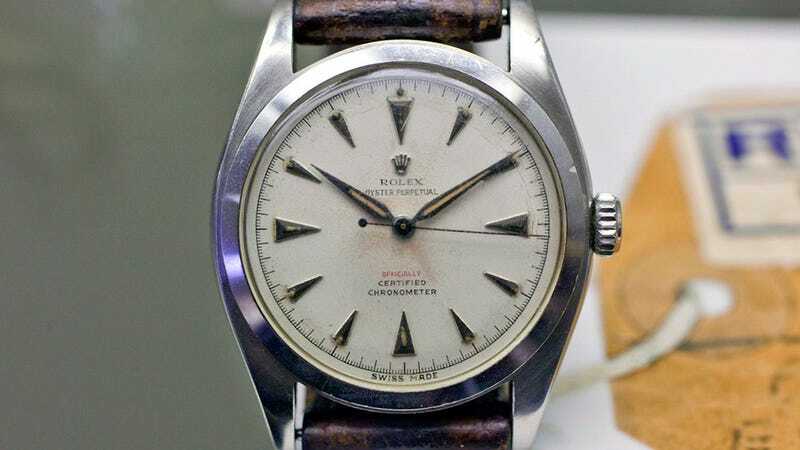 And as far as past lives go, this Rolex, currently on display at the Beyer Watch and Clock Museum in Zürich, Switzerland, could top them all. It accompanied Sir Edmund Hillary on one of the most famous expeditions of all time—to the top of the world. But oddly enough, this watch was never actually officially owned by Hillary. According to Hodinkee, Rolex was one of the official sponsors of the 1953 Everest Expedition, and saw it as much of an opportunity for research as it did for publicity. After all, Everest's peak is arguably the most inhospitable place a human being can visit without a submarine or a spaceship. So the Rolex Oyster Perpetual was only loaned to Hillary, and when he successfully made it to the summit and back, he had to return it.